Association of Women in Science: Greater Baltimore Chapter -- STEM and beyond! Summary: In a world immersed in big data, how can we best show the messages gleaned from our findings? Enter data visualization and infographics -- artistically innovative ways to see the big picture as an actual picture. One of the trending buzzwords in the media today is "data visualization," also commonly found with "infographics" and "effective presentation skills." According to Google Trends, "data visualization" was a top trend in April of 2004 (99 headlines), sank down in September 2006 (24 headlines) and is now again on the rise in October 2014 (97 headlines). Interestingly, Google Trends also shows that "infographics" appeared in a paltry 8 headlines in April 2004, and didn't start increasing until 2010; now, "infographics" is nearing the same level as "data visualization," with 88 headlines in October 2014. As found on Wikipedia, "data visualization is viewed by many disciplines as a modern equivalent of visual communication." Wikipedia defines "Infographic" as "graphic visual representations of information, data or knowledge intended to present complex information quickly and clearly. They can improve cognition by utilizing graphics to enhance the human visual system's ability to see patterns and trends. The process of creating infographics can be referred to as data visualization, information design, or information architecture." In a world filled with big data, analytics, and statistics, the products of data visualization lets us quickly see the big picture from all the details. 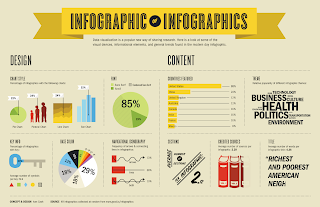 Infographics are commonly used to sell a message in seconds. If a picture's worth a thousand words, high quality data visualization skills are priceless. 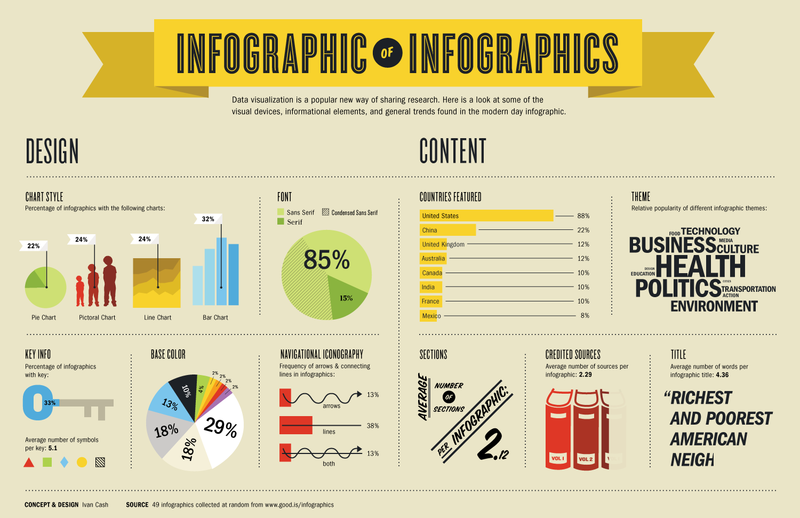 So, what makes a "good" infographic? Edward R. Tufte, deemed "The Leonardo da Vinci of Data Visualization" by the New York Times, wrote in The Visual Display of Quantitative Information (1983) that "Graphical excellence consists of complex ideas communicated with clarity, precision, and efficiency." Think about the information you need to present. What is the purpose of the data? What are the trends? Are you trying to emphasize a difference? Would you like to pinpoint a cause? If you showed this graphic to folks completely unfamiliar to the topic (e.g., your grandparents), then they should be able to understand your point. The AAAS Science & Technology Policy Fellow Affinity Group for Federal Innovation and Research Evaluation (FIRE) has listed a few resources for thinking about data visualization on our website. For example, Andrew Abela created a Chart Chooser Diagram that lets you select a chart based on the message that you want to send. 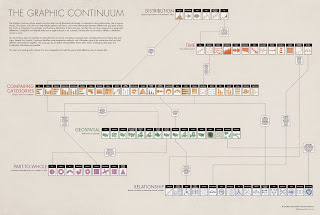 John Schwabisch has a poster called "the graphic continuum," which outlines some of the methods for displaying different types of data. Ann K. Emery gave a talk earlier this year to The Washington Evaluators and described the Data Visualization Checklist, which she created with Stephanie Evergreen, who's teaching a class through The Evaluator's Institute in Washington, DC during January 2015. This checklist includes guidelines for the number of words to put in a title, how to play a hierarchy, how to label data, etc. These are simple starting tips, but definitely good ones to follow when creating a presentation or presenting data. Interestingly, some agencies are historically very text-prone. For example, some colleagues at the Department of State showed me a fairly typical email that alerted employees about a huge upcoming event by listing names of streets and intersections that would be closed. By contrast, the Washington Post had a map that highlighted the streets to avoid. A simple idea, but it was more effective in getting the message across. Randy Krum's Blog has examples based on filmography, 20th century death, beer colors, good tools for making your own infographics, and much more. FlowingData picks out projects from genealogy to shooting patterns for the Washington Wizards to the most cited research papers. 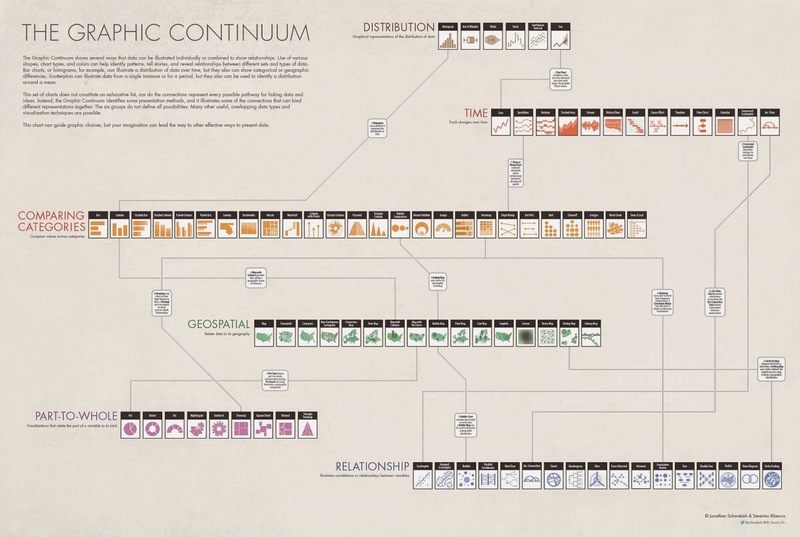 CreativeBloq shows animated infographics, comic book characters, and fonts. ThreeStory Studio showcases videos and interactive media alongside 2D infographics. Warning: These things are addictive. You could probably browse these collections for just an hour, and yet feel extremely productive -- lots of information has been packed in easily-digestible pieces. That said, perhaps the best aspect of infographics is the "light bulb effect" -- instead of being flustered by complicated data, the audience can now see a new idea that makes them think, "Aha! Yes, I get it." We, as scientists, should definitely be building our own data visualization toolboxes as we enhance our own communication skills. Originally published on AAAS's science policy blog, Sci on the Fly, on 2014-11-05. Write something: Submit a Blog Post!